Someone asked me online if I’d ever write a sequel to ‘Spanky’ and I suddenly remembered that I’d written one. It’s called ‘Spanky’s Back In Town’ and it’s in my collection ‘Personal Demons’. I seem to recall that it involves Rasputin and an excavation site beside the Thames. Apart from that it’s a bit of a blur. I always thought there should be an anthology of sequels. Philip Jose Farmer wrote ‘After King Kong Fell’, about what happened to the great ape’s body, but the problem now would be clearing the rights to intellectual properties. One could work just from copyright-cleared stories, but if it was a collection for charity, say, perhaps some enterprising editor could put together a volume of stories either by their original creators – so that Stephen King could pen a sequel to ‘Carrie’, or the Ira Levin estate could grant a sequel to ‘Rosemary’s Baby’. With Gladys Mitchell’s mad ‘Mrs Brady’ stories becoming popular once more, perhaps there’s a new story to be had there. What about Karnacki or Lisbeth Salander? Or characters like King Arthur, Nelson, Florence Nightingale? 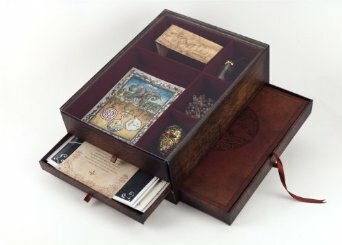 In Guillermo Del Toro’s ‘Cabinet of Curiosities’, which contains his wonderful notebooks, there’s a section on what happened to the film of ‘Spanky’, with drawings from the proposed film – a pity it fell through. Spanky or Mephisto’s Bridge as the script was called, might be moribund rather than dead. My gut feeling is it might resurface as a GdT Production, rather than ‘Directed by’, in the same way that Luc Besson doesn’t make many films himself but sits atop a film factory that produces his work for him*. Story, script and production design were all worked out, [as far as I know], it would make an ideal project for a ‘cadet’ Director to take on under his watchful eye. I have read that after a collection of articles is published, a writer will be called in to complete the unfinished Lisbeth Salander novel. There is life after death for some.